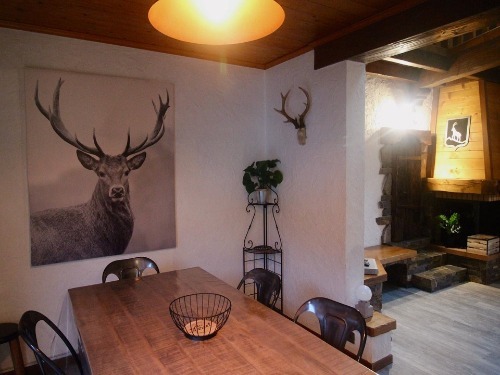 The chalet has a great location amongst trees in the pretty, wooded area of La Foret very close to Plagne Centre. 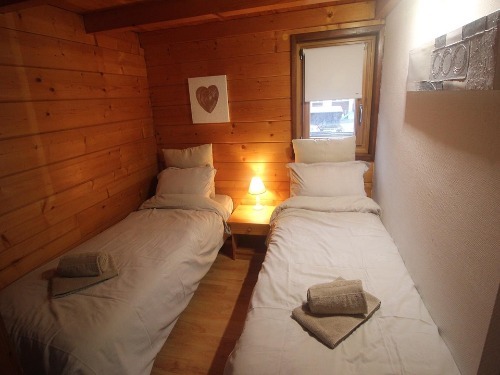 Within just a short walk (100m) from the piste you can access the whole ski area from Plagne Centre. 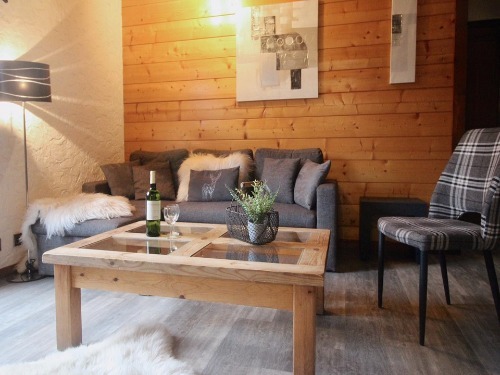 The chalet can accommodate either one large group or several smaller groups looking for a sociable catered ski holiday. 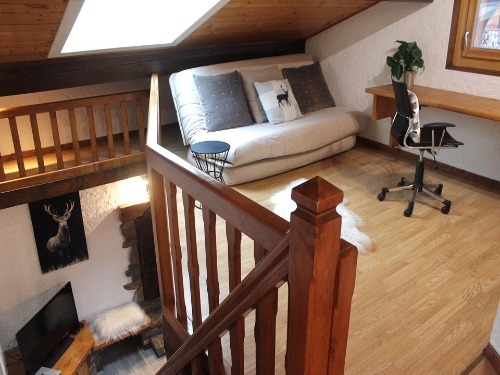 The chalet has a fantastic layout over three floors with loads of living space to accommodate all 13 guests. There is a large and comfortable lounge area with large windows and a balcony off the lounge with great views At the end of the day confident skiers can ski back to the chalet (via short off piste) from the blue piste which runs above and behind the chalet A free shuttle service from the chalet to Plagne Centre is available on five mornings if you leave your hire equipment in the shop overnight (this is a free service just for staying guests). 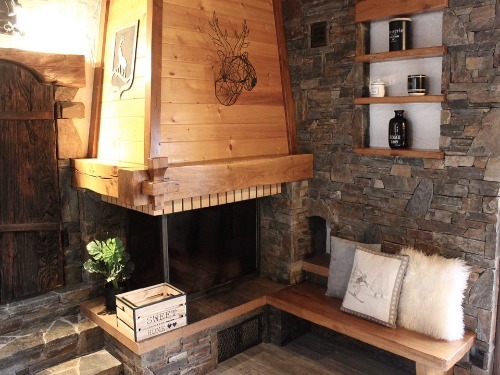 The chalet has traditional chalet features including a large open-plan dining and lounge area with log fire and plenty of comfy sofas to acommodate all 13 guests Chalet la Luciole is a few minutes´ walk from the centre of La Plagne where you can find many excellent shops, bars and restaurants. 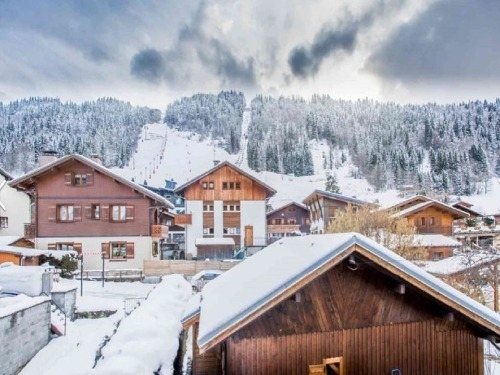 *6 bedrooms, twin, double or triple *Ensuite shower, sink & WC in most rooms *Boot drier and secure ski/board storage *Large, comfortable lounge with balcony & fantastic views *WiFi *TV, DVDs, games, books, HiFi *100m walk to piste *ski to chalet door (via short off piste) *Easy access to resort centre *Saturday arrival Typically Sat-Sat arrivals however there may be fluctuations based on short breaks and seasonal dates. Please contact us.